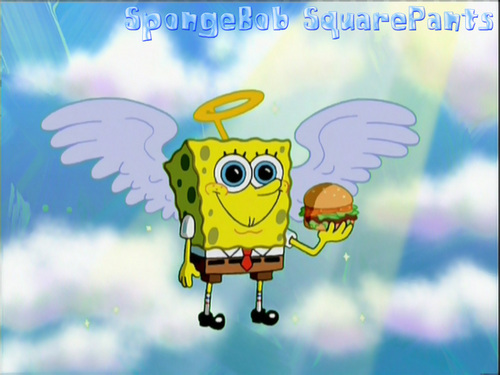 Angel Bob. This is still Sponge Bob. HD Wallpaper and background images in the Spongebob Squarepants club tagged: spongebob squarepants nickelodeon. This Spongebob Squarepants fan art might contain anime, komik, manga, kartun, and buku komik. Awwwww...... I'm gonna eat hom up like anyone would with a piece of cheese! Mr krabs i have an idea . He's so cute, I can just kiss him up! After this scene, Squidward will appear with hell background.. LOL!